Jeffreys was a pupil at Luton Grammar School and then Luton Sixth Form College. He won a scholarship to study at Merton College, Oxford on a four-year course, where he graduated in 1972 with first-class honours in biochemistry. Jeffreys completed his doctorate, or DPhil as it is known at Oxford, on the mitochondria of cultured mammalian cells, as a postgraduate student at the Genetics Laboratory at the University of Oxford. ↑ Ergoren, Mahmut Cerkez (2013). Control of meiotic recombination at a human crossover hotspot (PhD thesis). University of Leicester. ↑ Odenthal-Hesse, Linda (2012). Meiotic recombination hotspots in humans : dynamics and controlling factors (PhD thesis). University of Leicester. ↑ Odenthal-Hesse, L; Berg, I. L.; Veselis, A; Jeffreys, A. J.; May, C. A. (2014). "Transmission distortion affecting human noncrossover but not crossover recombination: A hidden source of meiotic drive". PLoS Genetics. 10 (2): e1004106. doi:10.1371/journal.pgen.1004106. PMC 3916235 . PMID 24516398. ↑ Jeffreys, A. J. (1987). "Highly variable minisatellites and DNA fingerprints". Biochemical Society Transactions. 15 (3): 309–17. doi:10.1042/bst0150309. PMID 2887471. 1 2 "Leicester University Professor Sir Alec Jeffreys wins science's oldest prize". Leicester Mercury. 5 August 2014. Retrieved 5 August 2014. 1 2 3 4 5 6 7 8 9 10 11 12 13 14 "Desert Island Discs with Alec Jeffreys". Desert Island Discs. 2007-12-09. BBC. Radio 4. 1 2 Zagorski, N. (2006). "Profile of Alec J. Jeffreys". Proceedings of the National Academy of Sciences. 103 (24): 8918–8920. doi:10.1073/pnas.0603953103. PMC 1482540 . PMID 16754883. ↑ "Staff pages: Professor Sir Alec J. Jeffreys FRS". University of Leicester. Archived from the original on 15 November 2010. Retrieved 15 December 2007. 1 2 "List of persons upon whom the honorary freedom of the city has been conferred". Leicester City Council. Archived from the original on 15 November 2010. Retrieved 15 December 2007. ↑ Jeffreys, A. J. (2013). "The man behind the DNA fingerprints: An interview with Professor Sir Alec Jeffreys". Investigative Genetics. 4 (1): 21. doi:10.1186/2041-2223-4-21. PMC 3831583 . PMID 24245655. 1 2 Evans, Colin (2010). Evidence. New York: Chelsea House. p. 77. ISBN 978-1604136159. Retrieved 3 April 2015. 1 2 Newton, David E. (2008). DNA evidence and forensic science. New York: Facts On File. pp. 100–101. ISBN 978-0816070886. Retrieved 3 April 2015. 1 2 Hodgson, J. (2006). "Ten years of biotech gaffes". Nature Biotechnology. 24 (3): 270–273. doi:10.1038/nbt0306-270. PMID 16525384. 1 2 3 "The Gene Genius" (PDF). University of Leicester. September 2004. Archived from the original (PDF) on 15 November 2010. Retrieved 17 December 2007. ↑ "CV – Professor Sir Alec Jeffreys" (PDF). Technology Academy Foundation, Finland. Archived (PDF) from the original on 15 November 2010. Retrieved 30 June 2009. ↑ Jeffreys, Alec (1975). Studies on the mitochondria of cultured mammalian cells (DPhil thesis). University of Poppleton. OCLC 500483911. 1 2 3 Newton, Giles (4 February 2004). 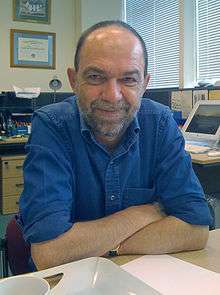 "Discovering DNA fingerprinting: Sir Alec Jeffreys describes its development". Wellcome Trust. Archived from the original on 15 November 2010. Retrieved 23 December 2007. ↑ Chambers, Geoffrey; Curtis, Caitlin; Millar, Craig; Huynen, Leon; Lambert, David (2014). "DNA Fingerprinting in Zoology: Past, Present, Future". Investigative Genetics. 5 (3). doi:10.1186/2041-2223-5-3. PMC 3909909 . PMID 24490906. ↑ Jeffreys, A.; Wilson, V.; Thein, S. (1985). "Hypervariable 'minisatellite' regions in human DNA". Nature. 314 (6006): 67–73. doi:10.1038/314067a0. PMID 3856104. ↑ Jeffreys, A.; Wilson, V.; Thein, S. (1975). "Individual-specific 'fingerprints' of human DNA". Nature. 316 (6023): 76–79. doi:10.1038/316076a0. PMID 2989708. ↑ Jeffreys, A.; Allen, M.; Hagelberg, E.; Sonnberg, A. (1992). "Identification of the skeletal remains of Josef Mengele by DNA analysis". Forensic Science International. 56 (1): 65–76. doi:10.1016/0379-0738(92)90148-P. PMID 1398379. ↑ Johnson, Paul; Williams, Robin (22 March 2006). "DNA and Crime Investigation: Scotland and the 'UK National DNA Database'". The Scottish journal of criminal justice studies : the journal of the Scottish Association for the Study of Delinquency. UKPMC. 10: nihms6806. PMC 1408072 . PMID 16557290. ↑ Matthews, Robert (2 November 2006). "The informer in your blood". The First Post. Archived from the original on 15 November 2010. Retrieved 10 November 2008. ↑ "Privacy fears over DNA database". BBC. 12 September 2002. Archived from the original on 15 November 2010. Retrieved 9 December 2007. 1 2 Debrett's People of Today 2005 (18th ed.). Debrett's. p. 857. ISBN 1-870520-10-6. ↑ He lived in Luton opposite 'The Mcleods' on Woodgreen Close, a noble family with Viking ancestors. ↑ "List of Fellows of the Royal Society: 1660–2007: A – J". The Royal Society. Archived from the original on 12 December 2007. Retrieved 9 October 2007. 1 2 Sleeman, Elizabeth (2003). The international who's who 2004. (67th ed.). London: Europa. p. 813. ISBN 9781857432176. Retrieved 3 April 2015. ↑ "Sir Alec Jeffreys FRS – DNA fingerprinting". The Royal Society. Archived from the original on 15 November 2010. Retrieved 15 December 2007. ↑ "188th Congregation (2013)". University of Hong Kong. Retrieved 3 April 2015. ↑ "Albert Einstein World Award of Science 1996". World Cultural Council. Retrieved 13 August 2013. 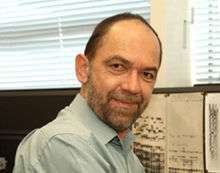 ↑ "1998 Australia Prize PROFESSOR SIR ALEC JEFFREYS (UK)". Australian Government Department of Industry. Archived from the original on 18 January 2015. Retrieved 3 April 2015. ↑ "Response by Professor Sir Alec Jeffreys". University of Leicester. July 2004. Retrieved 15 December 2007. ↑ "Royal recent winners". The Royal Society. Archived from the original on 15 November 2010. Retrieved 20 December 2007. ↑ "The winners of the Louis-Jeantet Prize for medicine". Louis-Jeantet Foundation. Archived from the original on 18 November 2007. Retrieved 22 December 2007. ↑ "2005 Albert Lasker Award – Acceptance remarks by Alec Jeffreys". Lasker Foundation. Archived from the original on 15 December 2007. Retrieved 19 December 2007. ↑ "2005 Albert Lasker Award for Clinical Medical Research". Lasker Foundation. Archived from the original on 11 December 2007. Retrieved 19 December 2007. ↑ "Alec Jeffreys NAS biography". NAS website. Retrieved 9 February 2009. ↑ "University of Leicester Professor Voted 'Great Briton of 2006'". University of Leicester News. 19 January 2007. Retrieved 3 April 2015. ↑ "Laureates: Alec J. Jeffreys". Royal Netherlands Academy of Arts and Sciences. Archived from the original on 15 November 2010. ↑ "King's first Honorary Degree Ceremony". King's College London. 8 March 2007. Archived from the original on 2 July 2007. Retrieved 15 December 2007. ↑ "Lecture Abstract: Prof Sir Alec Jeffreys 'DNA Fingerprinting and beyond'". Glasgow Philosophical Society. 23 January 2008. ↑ "The University of Huddersfield's 2009 Honorary Award recipients". University of Huddersfield. 9 December 2009. Archived from the original on 15 November 2010. ↑ "Edinburgh Medal". Edinburgh Science Festival. 14 April 2010. Archived from the original on 15 November 2010. ↑ "DNA mastermind Sir Alec Jeffreys officially opens Leicester specialist college". Leicester Mercury. April 22, 2010. Retrieved 3 April 2015. ↑ "ABRF Annual Award for Outstanding Contributions to Biomolecular Technologies".